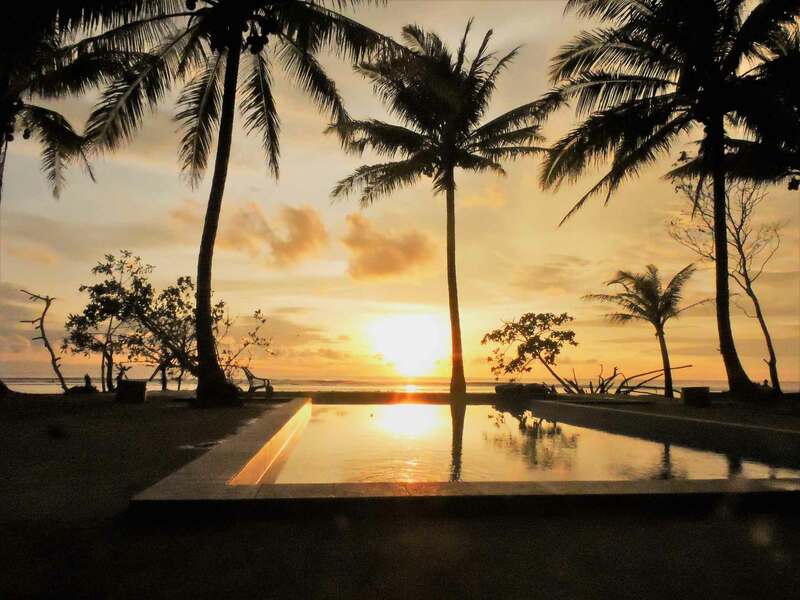 Welcome to Sumatra Surf Resort one of the newest Surf Resort’s to open in South Sumatra, situated 30kms from Krui at Tanjung Setia. 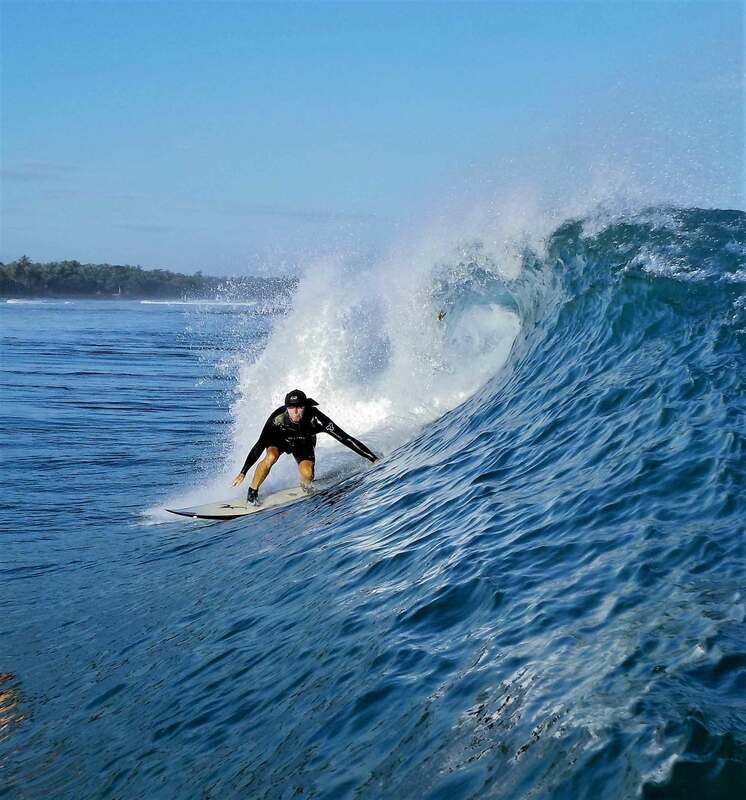 We face the longest and best left handed reef break in the region, UJUNG BOCOR, on the point of Tanjung Setia in South Sumatra. Ujung Bocur ranges in scope from heavy dredging barrels to long carveable down the line performance walls with rides in excess of 200 meters. There is an endless choice of quality breaks along our coast. 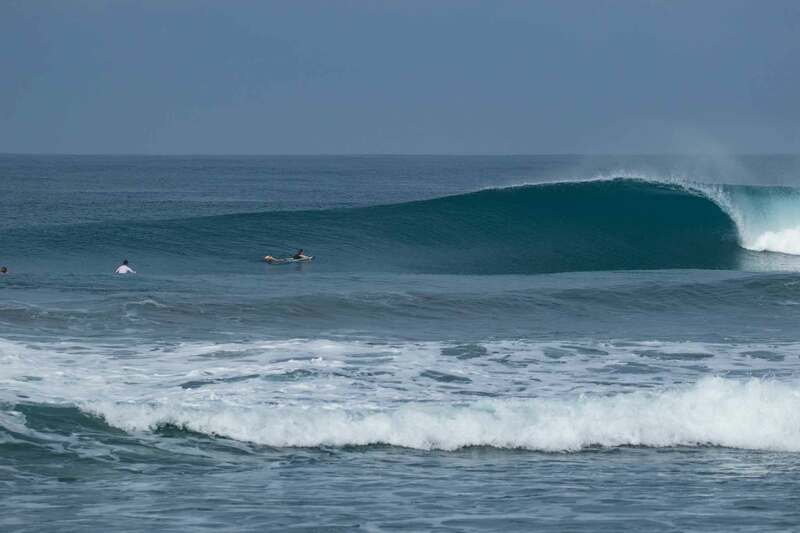 Besides the left out front, you can choose from barrelling lefts & rights like Way Jambu 15 minutes South or Jenny’s right about an hour North, softer reef breaks like Krui Left 20 minutes North as well as endless beach breaks like Mandiri Beach 15 minutes away. Check out our WAVES page for the rundown on all the spots along our coast. Here’s what our guests think.. Stayed here for 10 days. fantastic crew, great food and made me feel very welcome. Will definatly stay here again. Thanks to everyone that made it happen! 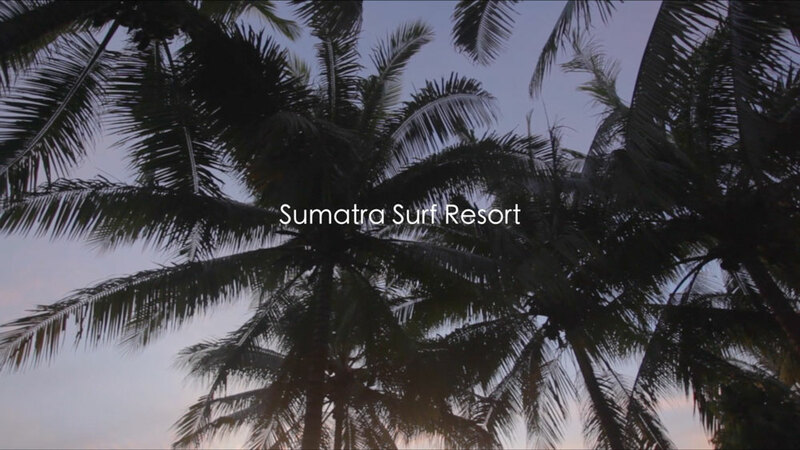 Best surf resort in Sumatra good people and great surf will definitely be back next year ! Awesome surf camp! Good location just round the back of the point. Great waves with good variety in the area. The food was delicious and all the staff were friendly and trustworthy. Had a wicked time and I'll be back for sure! 5 stars , great variety of waves to choose from, excellent staff looking after us at the resort and the locals are really polite and helpful. Get over there yeww ! !